COATS ALOE™ LOTION is a non-greasy, easy to apply daily use skin care product. 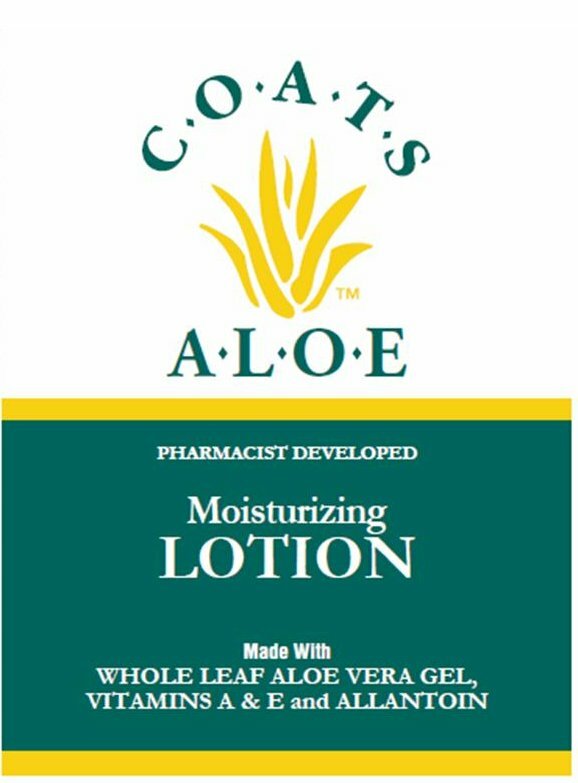 COATS ALOE™ LOTION is specially formulated with allantoin, 85% aloe, additional Vitamin A&E, glycerin, and urea. COATS ALOE™ LOTION is available in 3 sizes.